Vet-Kem® Siphotrol® Yard Spray kills and repels fleas, ticks, mosquitoes and a wide variety of other pesky pests. 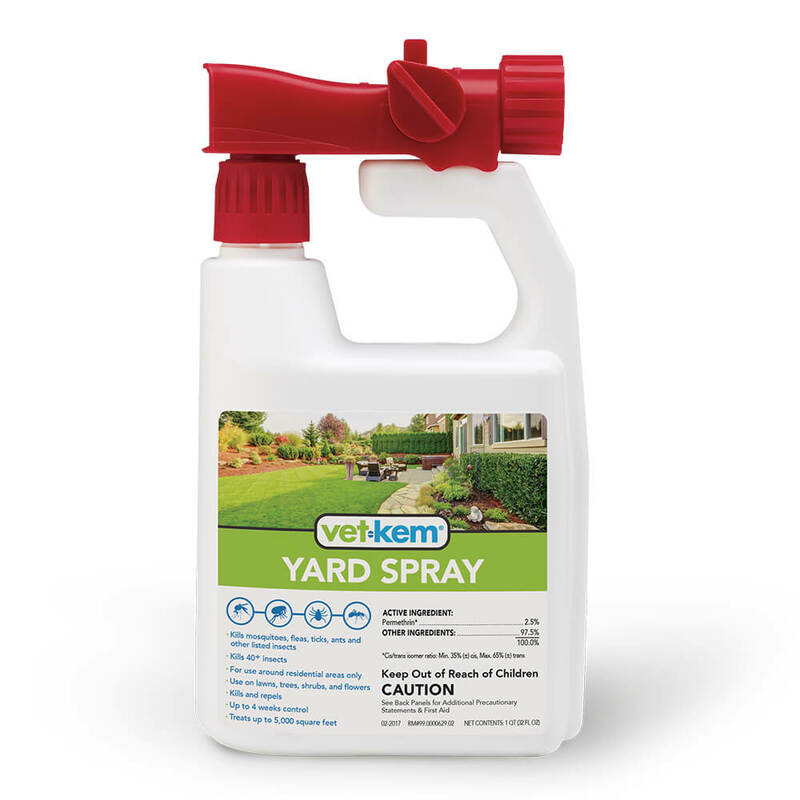 This yard spray can be used around residential areas including lawns, trees, shrubs and flowers. One container will treat up to 5,000 square feet and will provide protection for up to four weeks. See back panel for additional precautionary statements.